Fail to beat Reading this afternoon and Sunderland will be all but relegated from the Championship. Even if they win, a serious implosion will be required from the teams above. Thoughts have already turned to next season for many and even though Chris Coleman retains belief that something spectacular can still happen, he is fully aware that League One football is a distinct possibility. That could leave the club vulnerable to offers for its better talents, hence Coleman’s comments that followed the 1-1 draw with Leeds United. If Sunderland are serious about rebuilding, they have to keep to Paddy McNair, he said. For Coleman, it is no coincidence that performances have improved since the 22-year-old returned to the first-team picture. He will be desperate for the Northern Ireland international to be fit to take his place at the Madesjki Stadium. Coleman said: “I don’t want to put too much pressure on Paddy McNair, but we’re definitely a different team with him in it. “He frees up time and space for the other players around him. “Our stats on wing-backs, the transitions, bursting forward from midfield, when he plays it is much higher. “We go from defending, winning the ball and then within three or four seconds we’re in the opposition territory, with bodies getting into the penalty box. “In any one game of football there are around 300 transitions, and it is the team that anticipates better, turning the defending into attacking and getting bodies forward, they’re the successful one. “In recent games we’ve been better at that and getting bodies further forward, winning the ball back quicker and attacking, rather than sitting back and wishing our lives away. “Of course we’ve been open and given the opposition chances too, but our shooting stats have been really high of late,” he added. Coleman’s message to the youngster himself is simple. 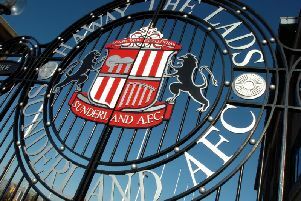 Whatever league Sunderland find themselves in next season, stay and I’ll build a team around you. He said: ”Paddy, we’ve not had him for most of the season, but we’ve seen what a difference he makes. “He’s an international, played at Manchester United, played in the Premier League, he’s obviously a very good player. He’s had a serious injury. “What he needs is Saturday, Saturday, Tuesday, Saturday. He needs that game time. “When he gets it he will be even better, again, this is a great place for him to do that. “It’s still a great club to be at, you know. He’s going to be involved here, a team here will be built around him and players like him. “If someone wants to buy someone like him, there’s no giveaways, they’ll have to pay a hell of a lot of money for him.